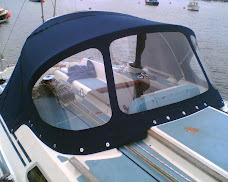 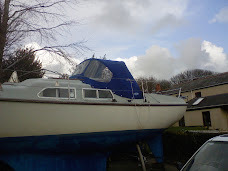 Fitted today, this cockpit cover provides rain, wind and sun protection for a real old wooden classic (circa 1921). 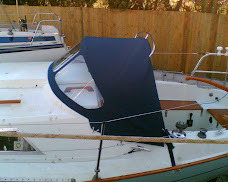 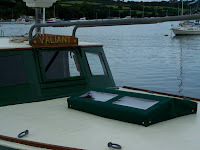 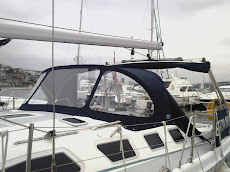 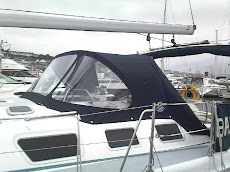 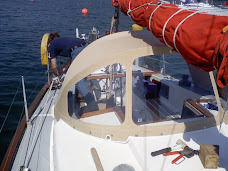 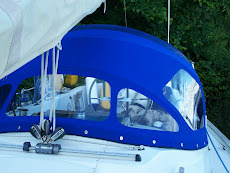 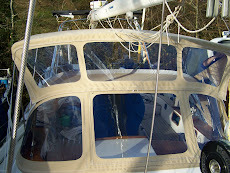 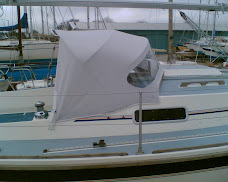 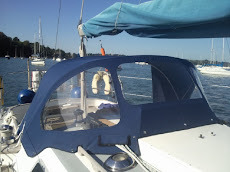 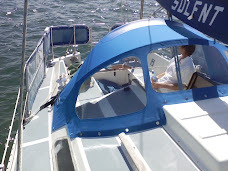 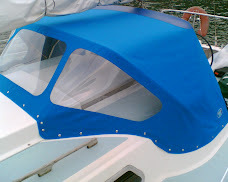 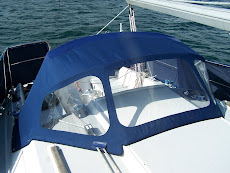 The hatch cover protects the varnish, but allows light into the cabin. 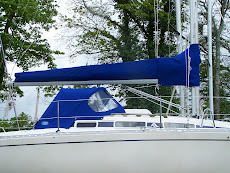 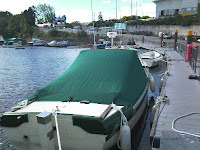 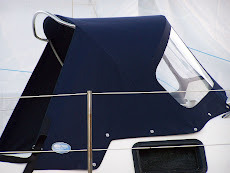 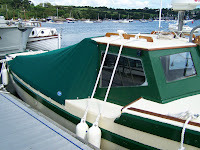 This 34' boat also has a copper sheathed bottom!